The rise of Robert the Bruce. The vengefulness of James Douglas. And the ruin of Edward II. One day. One battle. Bannockburn, 1314. 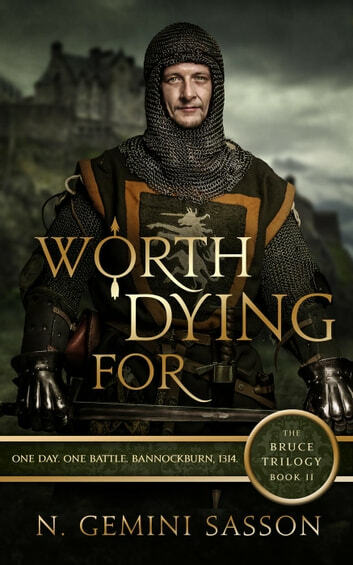 Robert the Bruce has known nothing but hardship since seizing Scotland's crown. Parted from his wife and daughter and forced to flee through the Highland wilderness, he struggles to unite a kingdom divided by centuries old blood feuds. The price, however, must be paid in lives and honor. Falling to temptation, Robert's only means of redemption―and to one day win his wife Elizabeth back―is to forgive those who have wronged him. One by one, Robert must win back Scotland's clans and castles. The one man who can help him purge the land of English tyranny is the cunning young nobleman, James 'the Black' Douglas, who seeks vengeance on those who took both his inheritance and his father's life. With the death of Longshanks, Edward II ascends to the throne of England. His first act as king is to recall the banished Piers Gaveston. Too soon, Edward learns that he cannot protect the one he loves most and still preserve his own life and crown. To those who demand the ultimate sacrifice, he must relinquish all power. To have his revenge, he must do what his father never believed him capable of―defeat Robert the Bruce on the field of battle. 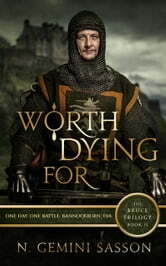 worth dying for: worth reading! Found this really interesting, enjoyed the history and the imaginative writing, which brought the characters to life. Loved the way every chapter by different characters is written in first person. Wil definitely read the next volume.